This book is concerned with the analysis and optimal control of the phase-field transition mathematical model described by Caginalp phase-field parabolic system, which was proposed in 1986 to replace the classical two-phase Stephan problem. With respect to the Stephan free boundary model of phase transition, the Caginalp model describes better and more accurately the physical processes of melting and solidification and is now widely accepted in mathematical physics. It is also a more convenient way to represent the moving boundary of melting and solidification processes. From mathematical point of view, the great advantage is that the new model is represented by a parabolic semilinear system with a nonlinearity of Ginzburg-Landau type, while the classical Stephan model is described by a parabolic variational inequality, which is a parabolic multivalued equation hardly to solve or approximate. 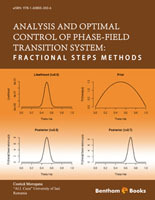 In this book the author, who has several important contributions in theory of otimal control problems of phase-field systems, has rigorously presented the existence and approximation theory of this phase-field system as well as the theory of otimal control problems governed by this system. Applications to control of solidification region in specific industrial processes and numerical tests are also included. Most of the results presented in this book are new or taken from author’s previous works. It is in our opinion a good and useful work for all pure and applied mathematicians interested in phase transition mathematical models.